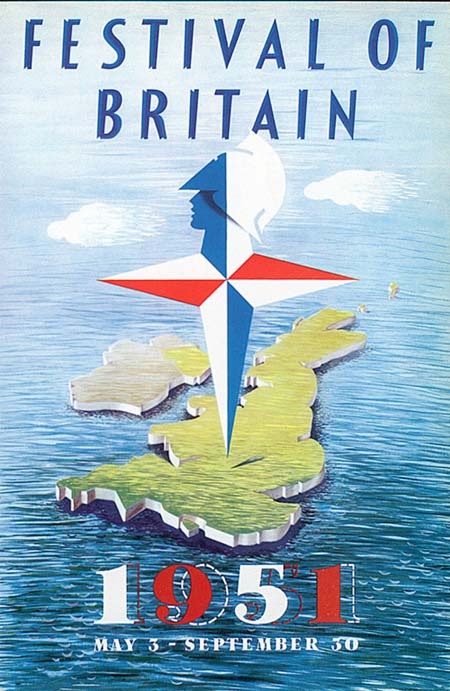 This year is the 60th anniversary of the Festival of Britain which took place between May and September of 1951. 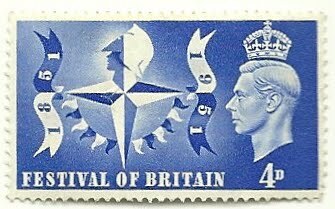 The Festival was conceived as a series of countrywide events commemorating the centenary of the Great Exhibition of 1851, and celebrating the history, achievements and potential of the British people. The timing of the event was also significant and it was promoted as “A Tonic to the Nation”, an opportunity to mark the end of post war austerity and encourage a new and more open approach to the arts, science and technology. 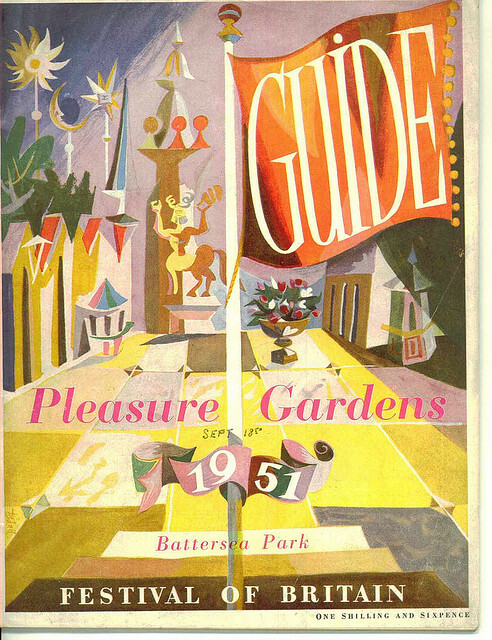 I’ve previously written about the Festival logo here and I’ve had an interest in the Festival ever I got a copy of the Festival catalogue for about 10p from a jumble sale and my mum told me she and her family travelled all the way down from Yorkshire to see the South Bank Exhibition. I’m sure she said it was the first and only time she came to London in the first 30 years or so of her life. 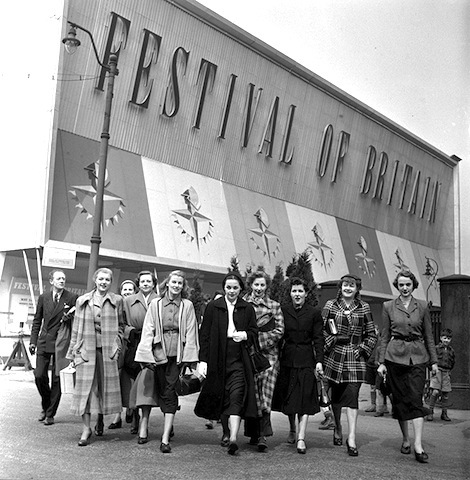 One of the key early decisions made by the organising panel, was that the overall style and feel of the Festival should reflect a more traditional, almost halcyon Englishness that they felt had been lost during the chaos of the previous 20 years or so, an Englishness that was seen as crucial to the future success of the nation. In lettering terms, this meant a deliberate move away from the ubiquitous predominantly European designed sans serif fonts of the war years (think of the “Keep Calm and Carry On” stuff that seems to be everywhere at the moment) and a greater consideration of the English vernacular, especially 18th Century “Fat Face” fonts such as those used on this handbill from 1833. A fat face or Egyptian font, is one where the serif element is overly large and in some cases is similar in thickness to the main stem of the letter (see the E on the pink image below). These were designed specifically for maximum legibility and consequently were much used in posters and headlines. 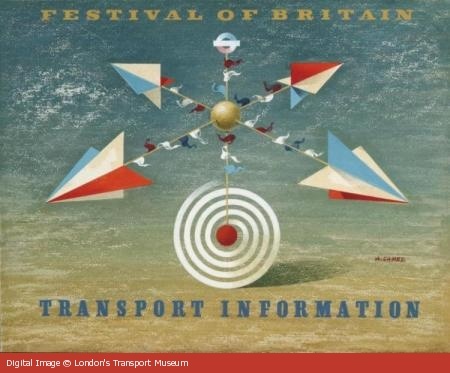 The result of this approach was that against the background of Mid Twentieth Century design, the various Festival publications and documents have an almost period feel, and are immediately recognisable as being from the 1950’s, with a coherence that belies the many different styles and fonts used by the exhibitions designers. In addition to this, a new typeface was especially commissioned for the event. Designed by Philip Boydell, it was actually a sans serif font, but used tall, thin letters and was only available in capitals. 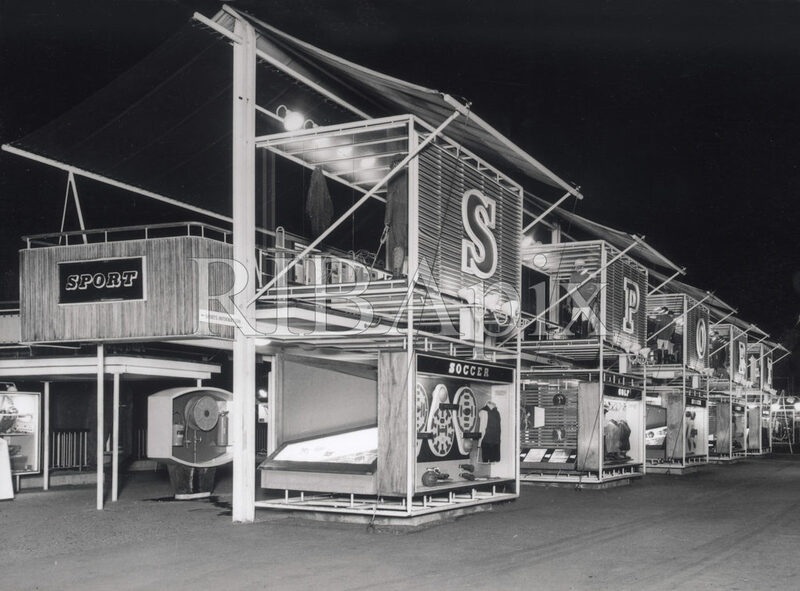 It had a vague resemblance to bunting and benefited from an almost three-dimensional, leaning effect which created a subtle sense of movement when it was used. 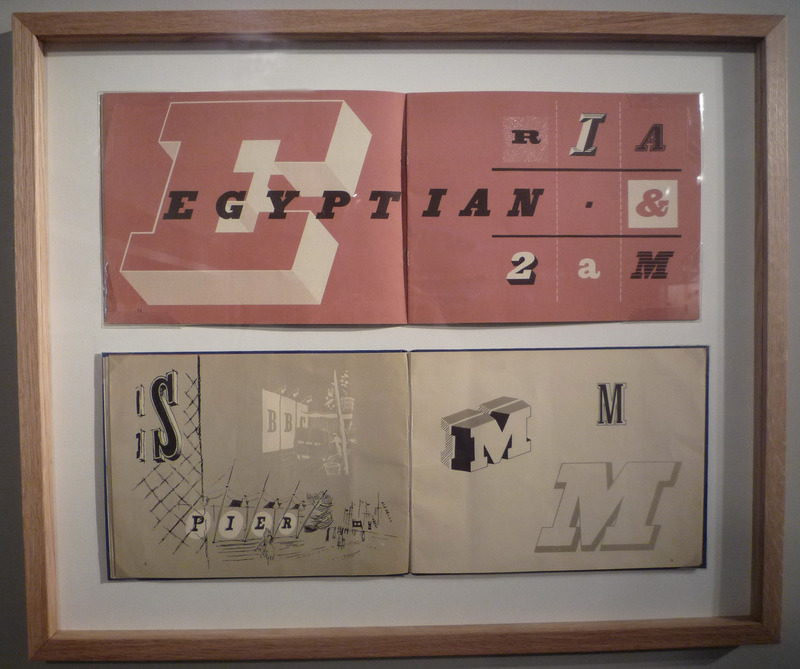 All in all the Festival lettering was considered very successful and was an intrinsic aspect of the festivals popularity. 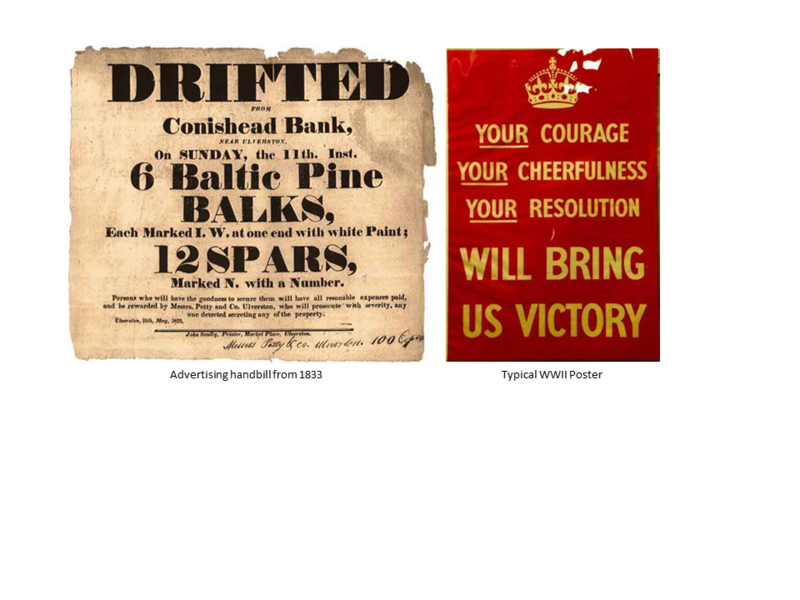 Some examples of these designs are shown below.